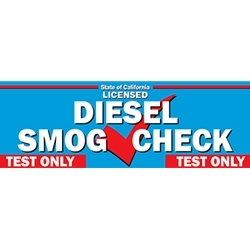 Click here to see our full line of Auto Repair and SMOG Test Banner Signs! Bright, full-color, digitally printed advertising banners shipped in 3-5 work days! Years of powerful advertising-- for just pennies a day!